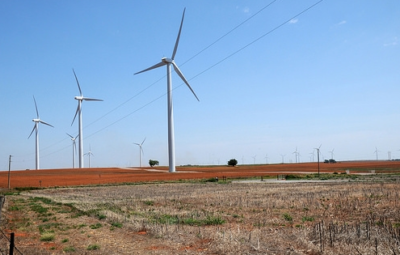 Enel Green Power North America started operations of the Thunder Ranch wind farm, which has a capacity of around 298 MW, and of the Red Dirt wind facility, which has a capacity of around 300 MW, both located in Oklahoma . . . The investment in the construction of Thunder Ranch totaled around $435 million, while the investment in the construction of Red Dirt was about $420 million. Click here to read more. The latest frontier in the solar power industry’s growth in Minnesota is found in Chippewa County, where workers are completing the third of three solar garden projects undertaken in the past year. Berkshire Hathaway Energy, working with Geronimo Energy, is developing the solar gardens as part of Xcel Energy’s Solar Rewards Community Program. Legislation approved in 2013 requires Xcel Energy to provide community solar gardens in its service territory. The U.S. Army Corps of Engineers, which manages dams and reservoirs along the 2,341-mile river, said energy production from the dams in the Dakotas, Montana and Nebraska totaled 9.6 billion kilowatts of electricity last year, up from 7.6 billion kilowatts. A billion kilowatt-hours of power is enough to supply about 86,000 homes for a year, said Mike Swenson, a corps engineer in Omaha, Nebraska. 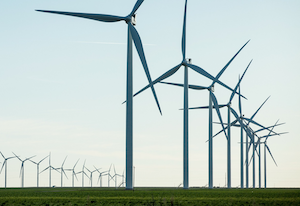 This entry was posted in NewsBlog and tagged Energy Storage News, grid resilience and reliability, Nebraskans for Solar, renewable energy news, solar energy webinars, wind energy news in Nebraska on January 6, 2018 by Helen Deffenbacher.